Have you already noticed, images placed in the dead center of the paper appearing visually odd? If you want to get more balanced feel you need to place your image a little upward. But how far? 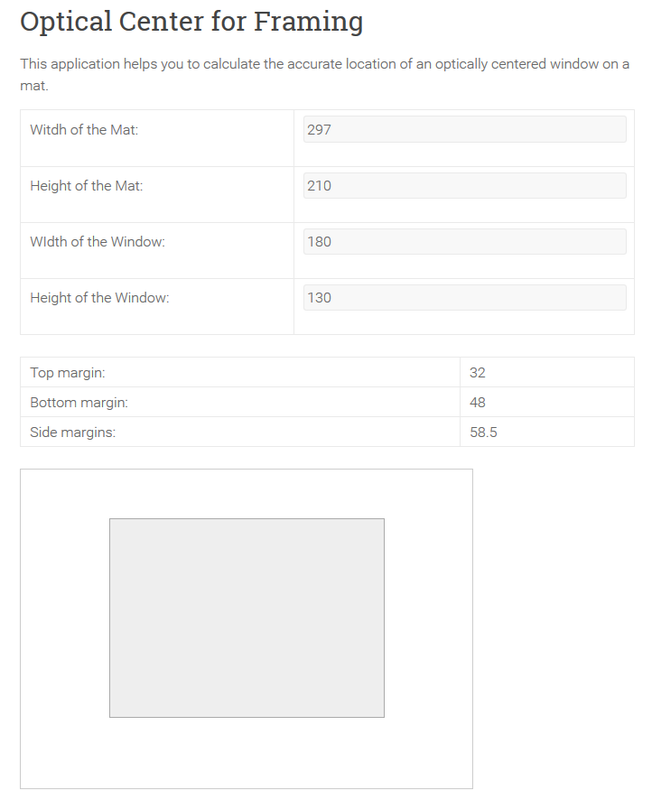 I’ve created a tool for you to calculate the proper margins for an optically centered image printed on a paper or you can also use this tool for calculating the position of a specific size window on a mat for framing.